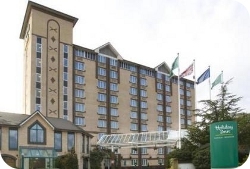 Thursday 7th April 2011, Holiday Inn, Slough. The course will provide participants with an understanding of the legal and operational safety requirements concerning laser and IPL equipment, focusing on medical and cosmetic applications. It is suitable for all professionals involved with lasers and intense light sources and ideal for the Laser Protection Supervisor or those planning to undertake this role. The day will be lead by an experienced trainer and Certificated Laser Protection Adviser. All delegates will receive the 'core of knowledge' certificate now required by many local authorities and insurance companies. The 'Core of Knowledge' syllabus as suggested by the MHRA will be covered.